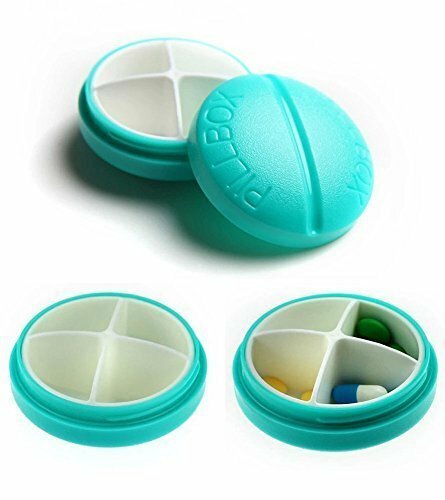 This pill case has 6 compartments, holds different types of pills for weekend trips or outdoor activities, instead of having to pack a bunch of pill bottles all the time, your meds or vitamins can be condensed into this package. The separate daily blue flip tabs make it easy to get pills for day and keeps the rest stored and not fall out by accident. The soft rubber seal around the lid also keeps unintended liquid spill from coming into the case. Once opened, each “area” opens and you can flip it upside down to drop all of the pills while keeping the remainder of the pills secure. The blue tops snap into place and feel solid, and the big white case shuts securely. There’s no chance of it opening and spilling all over your bag when being carried around. The new handy pill container fits right in the palm of your hands. Offers a slim and portable design to take up less space yet keep your meds neatly and discreetly more organized. 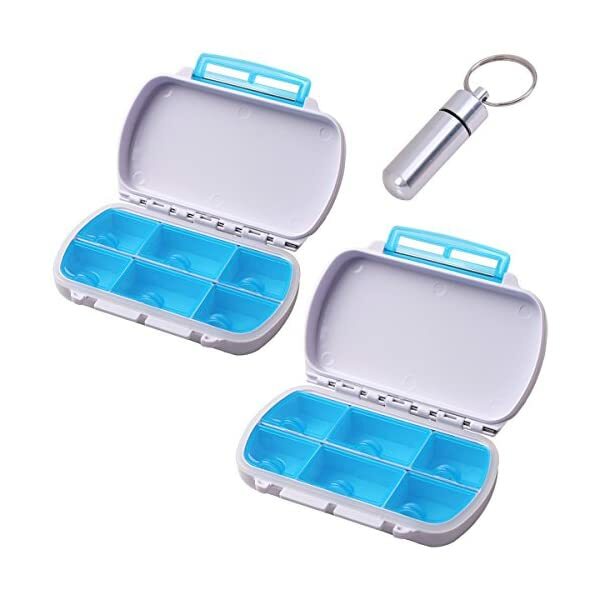 Bonus 1 free waterproof aluminum alloy keychain pill case.You can take this little pill holder wherever you go and whatever you do. With the keychain, this ideal pill holder can be attached to your keys, necklace, handbags or coat easily. Rubber o-ring seal keeps the pill container secure and waterproof . Aluminum construction makes our pill case to be excellent firm and reliable. You can easily open and close this pill holder with the top screws design. 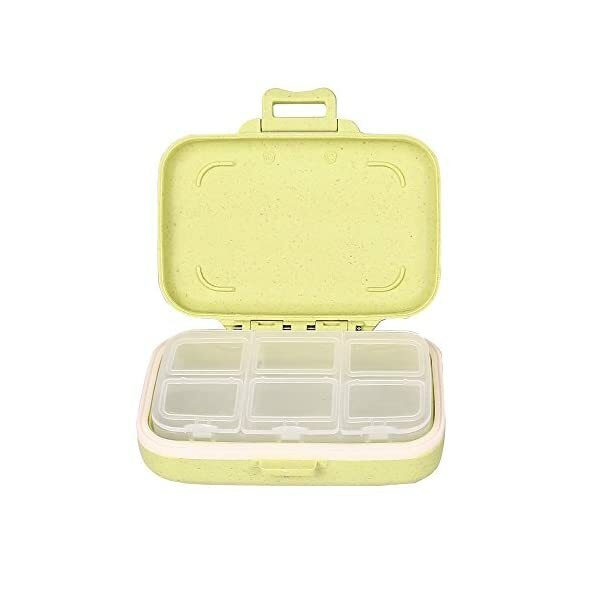 It can be used for outdoor medicine container and travel pill case to carry daily needed pills and emergency pills. You will get a lot for your money. 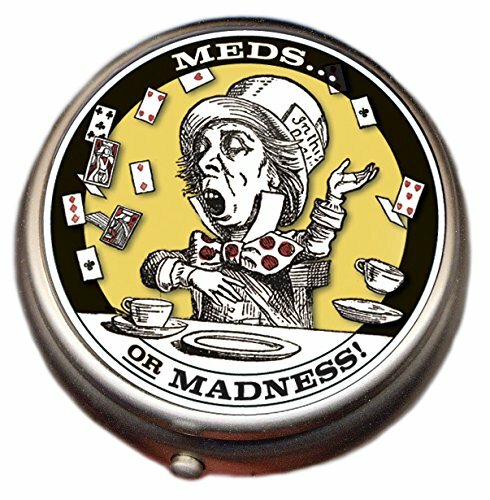 Never let yourself or your beloved one find themselves without their medication when they need them. PERFECT FOR ON THE GO – This pill holder has 6 compartments, holds different types of pills for weekend trips or outdoor activities, instead of having to pack a bunch of pill bottles all the time, your meds or vitamins can be condensed into this package. BPA-free Materials to keep you safe. 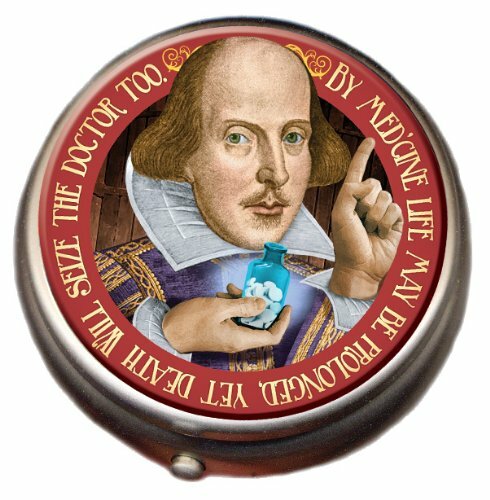 The new handy pill container fits right in the palm of your hands. Offers a slim and portable design to take up less space yet keep your meds neatly and discreetly more organized. 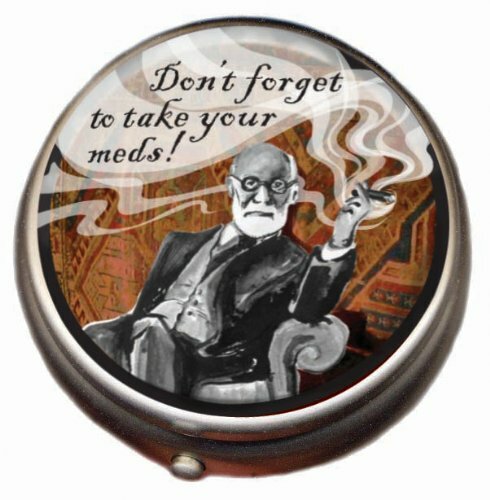 Perfect for your purse, pocket, suitcase, carry-on, gym bag, and car console. Our Product Only Sold by Qtimal Direct, 100% money back quality guarante. 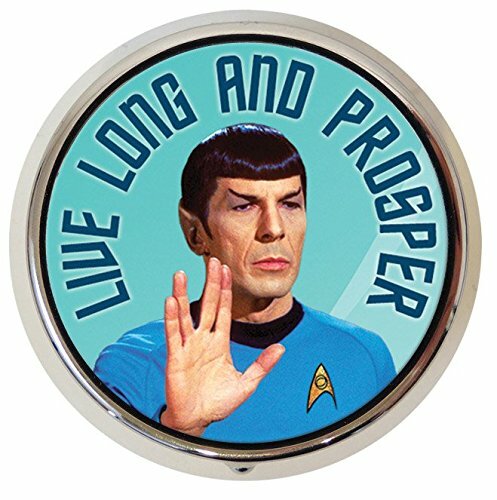 Bonus 1 free compact metal keychain pill holder!